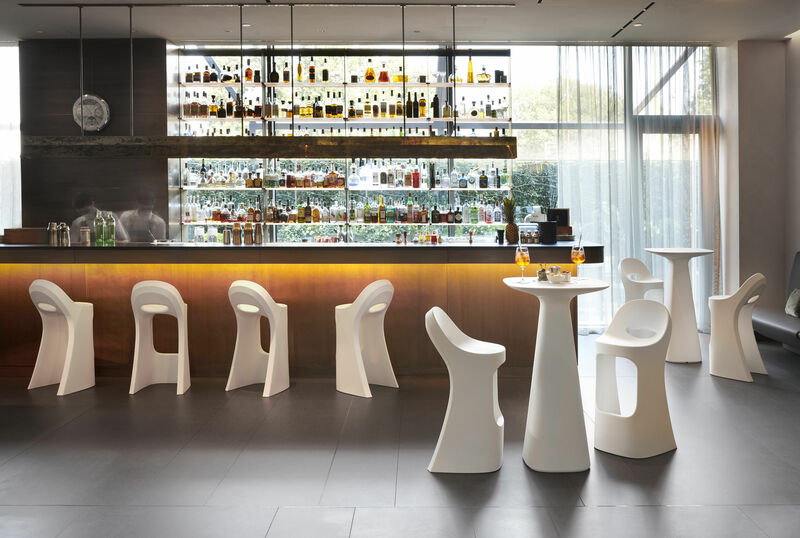 A refreshing and highly graphic outline for this superb bar stool created by Italian designer Italo Pertichini. 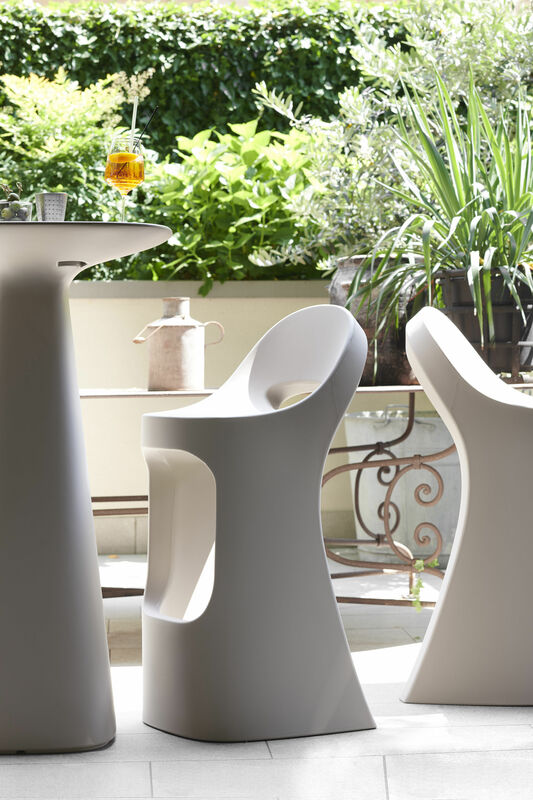 This single piece of polyethylene has an inviting silhouette with its rounded shapes. The wide seat, backrest and integrated footrest ensure optimum comfort. 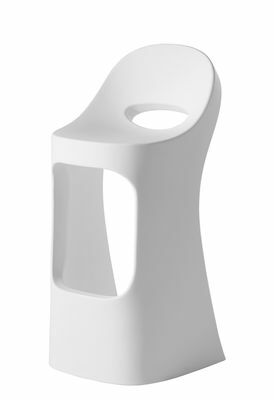 The handle in the backrest, coupled with its feather weight (6 kg), make it easy to move. 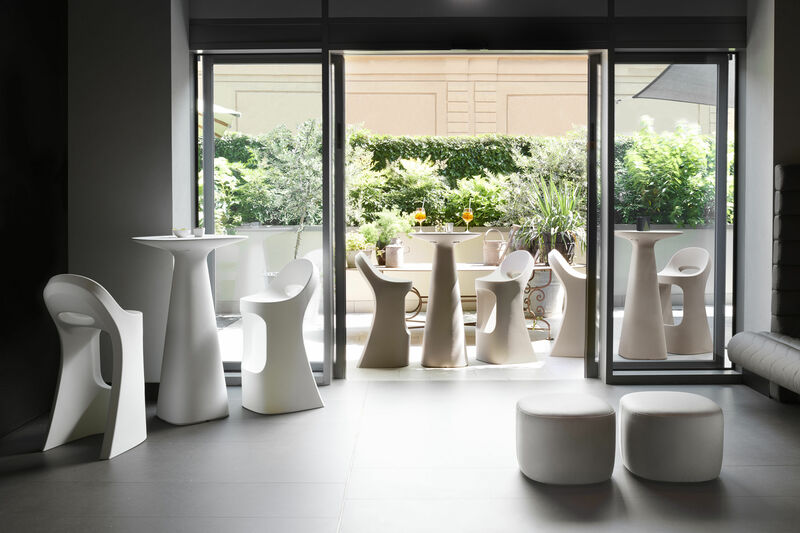 The Amélie Sit Up bar stool can be used both indoors and out. Very stable, it’s a perfect product for contract and event use. 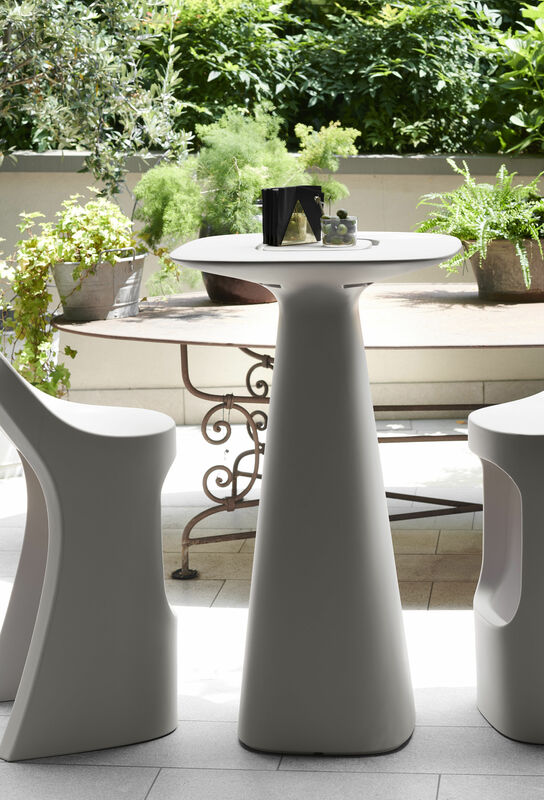 Amélie Sit Up is the perfect complement to the Amélie Up high table.